Today we welcomed bone specialist Sheila Hamilton-Dyer. Her enthusiasm and knowledge have been a great lift to us, and she has immediately set to work. 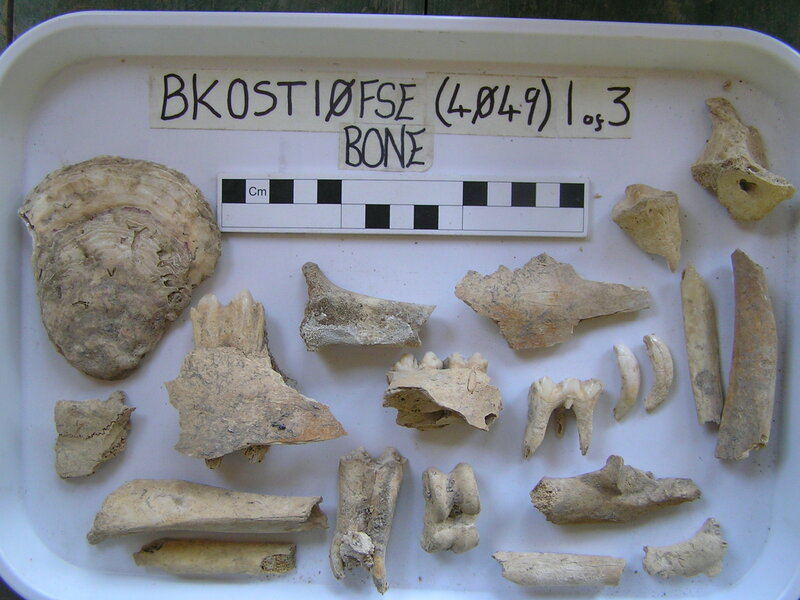 She has been able to identify a human foetus in one context, and a great deal of edible animal bones in others. She is particular interested in the rich domestic rubbish deposits, which have produced large fragments and large quantities of bone. At present she seems to describe some of our key layers, from the macellum and the palaestra as being rubbish deposit, including meal waste, but which include some unusual, and somewhat downmarket, cuts of meat. Could this be evidence of domestic and macellum waste being mixed, or of the diet of those who work around the meat market in its later years. Further study will resolve this.